KADNAY are quickly rising in Ukraine's music industry as one of the most unique acts, given the way they infuse genres together and combine so much live instrumentation into both their compositions and live performances. 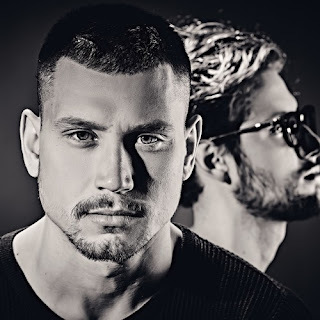 Their latest single "Тіло" is arguably their most commercial and catchy song to date, as it offers a production that encourages dancing while still maintaining sultry melodies (the word "Тіло" means "body" in Ukrainian... if you needed a hint as to where the song is directing listeners). The music video also has some of their most striking visuals to date, as the lead members of the group are shown to be driving a retro car through space, sometimes directly towards a giant woman styled in a retro style of both hair and bathing suit. It's quite a treat, and highly worth the watch!